After a busy week hosting and wrangling four kids by myself, we were all very ready to have Dougie home for a week. We decided not to have a break away this Easter, as we are currently sticking to a stricter budget. I also made the decision to not shell out on too many expensive days out, as we have fallen into this trap before when staying at home. 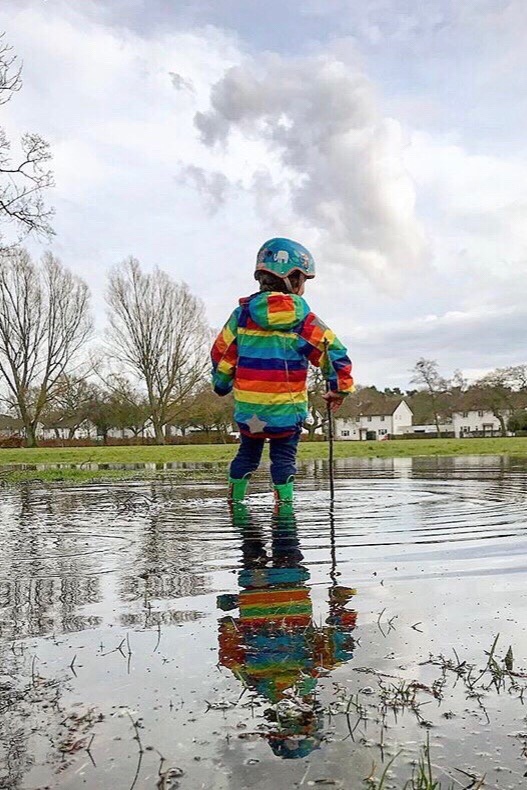 This was made easier by the weather at the start of the week, which wasn’t enticing us to do much other than get on our wellies and make the most of the puddles! We have really made the most again of our National Trust membership and visited several sites. We braved a very wet trip on the bus into York and visited The Treasurer’s House and rewarded ourselves with pancakes, and toasted banana bread brunch in a nearby cafe. Dougie requested a walk through Dalby Forest, of which Teddy was delighted to follow the highway rat trail! 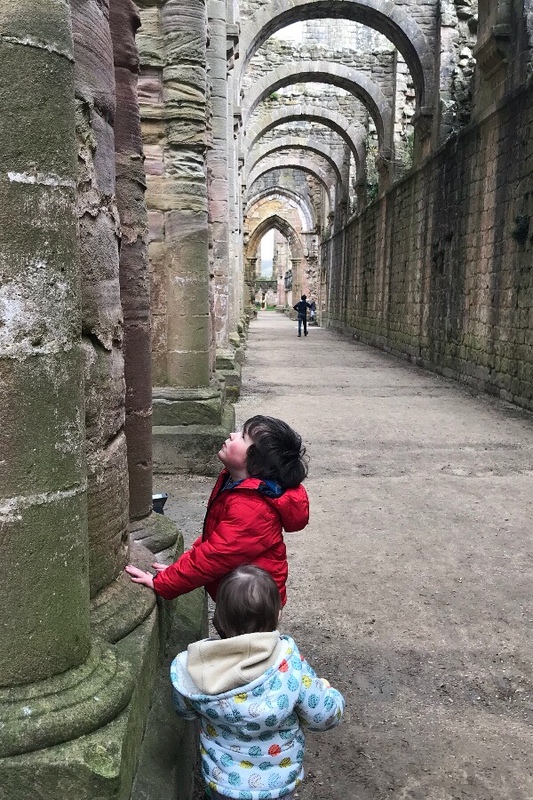 And not forgetting a highlight for us all the wonderful ruins of Fountains Abbey, quite possibly the highlight to our week, as the gardens were beautiful and the kids had a ball scrambling over everything. The kids really are lucky to be visiting all my old Yorkshire childhood haunts with the added benefit of play parks and cafes which weren’t always there or half as family friendly 20 odd years ago! With our week drawing an end, we are reluctantly starting to think of a long term ahead and early starts. 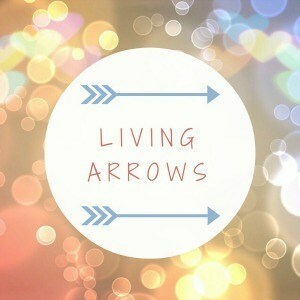 Although there is always a positive to everything, I will get back some order and a little peace during school hours! 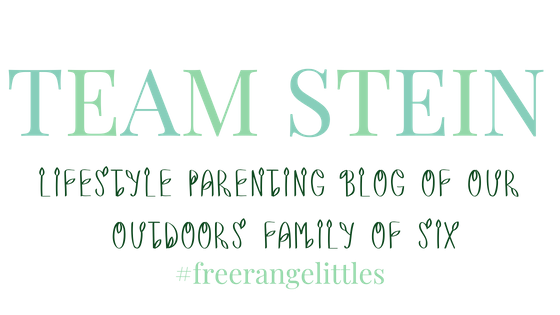 "Egg-citing Weekend – Our family Easter!"